We are a Rotary-sponsored service club for young men and women ages 18 to 30. 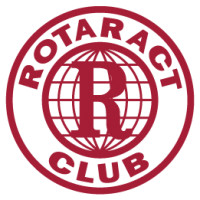 Rotaract clubs are usually community-based or university-based and are sponsored by a local Rotary club making them true “partners in service” and key members of the Rotary family. Through the program, young adults not only augment their knowledge and skills, but they also address the physical and social needs of their communities while promoting international understanding and peace through a framework of friendship and service. All Rotaract efforts begin at the local grassroots level and all Rotaract clubs have access to the many resources of Rotary International and The Rotary Foundation . As one of the most significant and fastest-growing programs of Rotary service, with more than 7,000 clubs in about 163 countries and geographical areas, Rotaract has become a worldwide phenomenon.